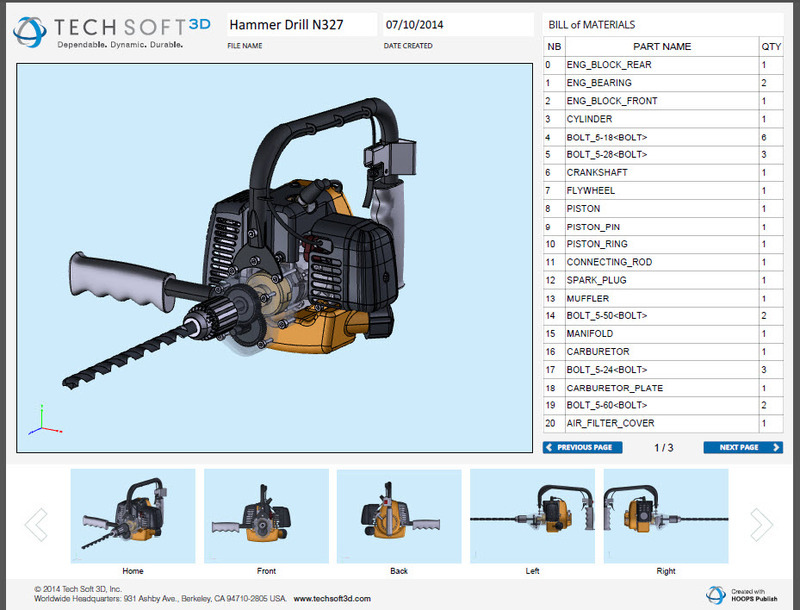 HOOPS Publish enables your application to publish 3D data in several ways, including as native 3D PDF, HTML and in a variety of standard CAD formats. Web and mobile technology, new standards and free readers have changed how people expect to consume data. They want to get the data out of the applications that they use, and view that data from the application throughout the product lifecycle. HOOPS Publish can make it possible. 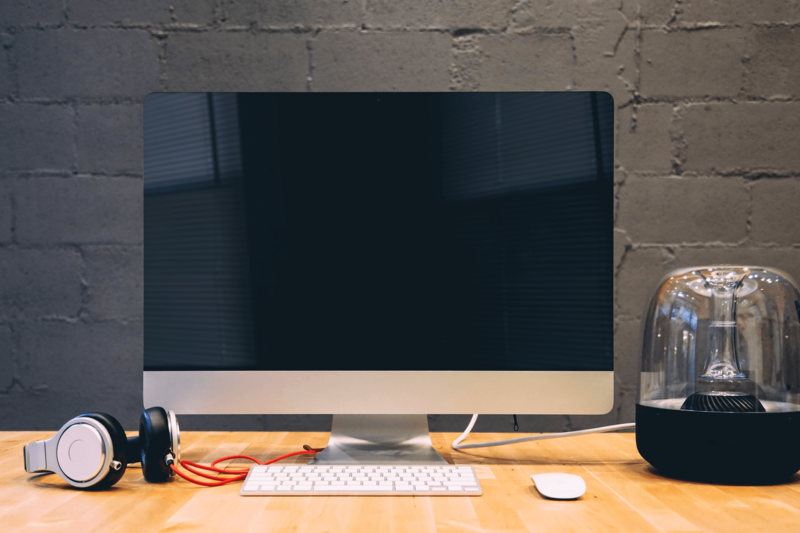 HOOPS Publish enables solutions for almost any workflow. It all starts with importing 3D models and engineering data from industry standard formats into HOOPS Publish. You can also bring in process information and presentation information, such as templates. Then use HOOPS Publish to enable your application to publish data across the entire product development process. 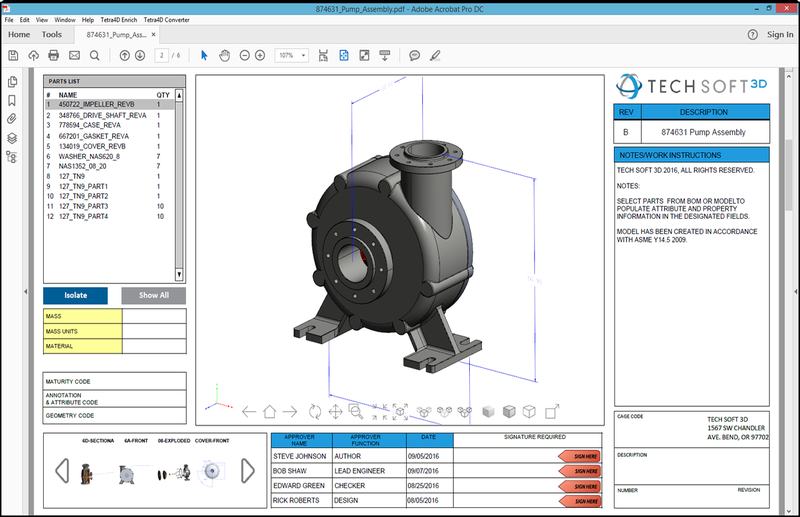 By leveraging our HOOPS Exchange SDK, you can get access to over 20 CAD file formats including CATIA, Creo, NX, Solidworks, Solid Edge, Inventor, and more. Publish a rich 3D model in several standard formats, including STEP, JT and 3MF for additive manufacturing workflows. 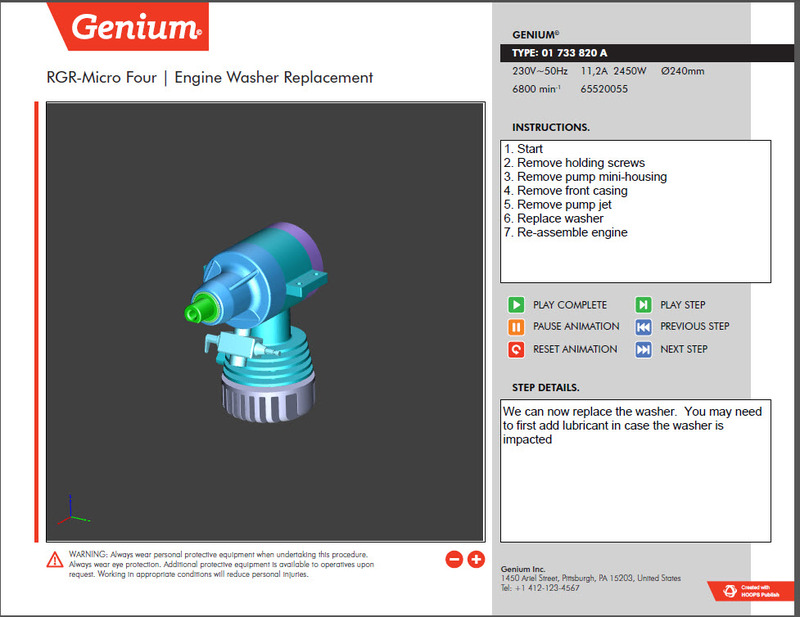 Publish HTML or PDF so that anyone can view and interact with the model – with no need for a proprietary viewer or CAD system. Generate interactive 3D PDFs with HOOPS native 3D PDF technology–incredibly valuable documents that can support any workflow. Create a limitless range of 3D PDF documents by combining HOOPS Publish with source PDF template files. 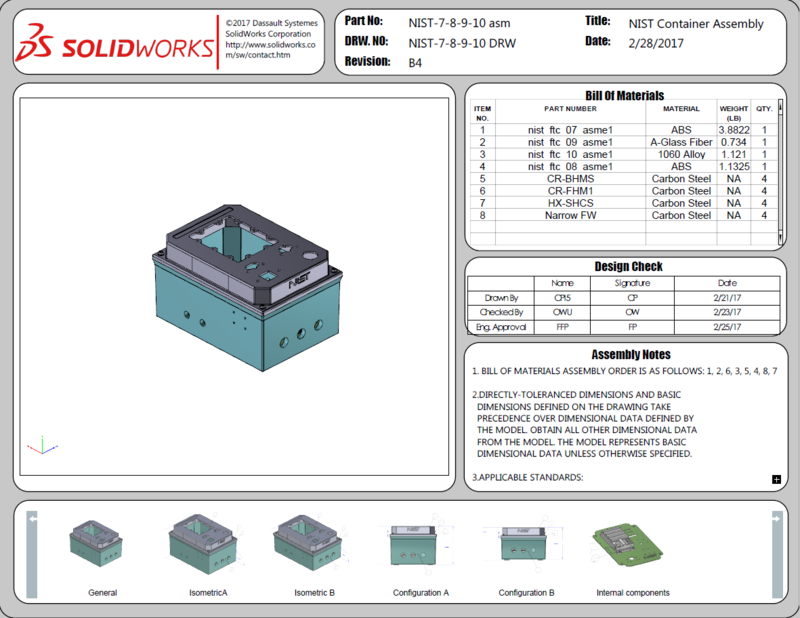 Below are a few examples showing different approaches to delivering rich 3D information for the design and manufacturing process. Important: When viewing the PDFs, please save these documents first, and then open with Adobe Acrobat Reader or Professional, and click on "trust this document" to view the 3D content. Click on the viewports to activate the 3D content. HOOPS Publish is uniquely based on native Adobe technologies and is the only software development kit (SDK) that offers access to the native 3D read and write technology used within Adobe Reader. How can HOOPS Publish benefit you? 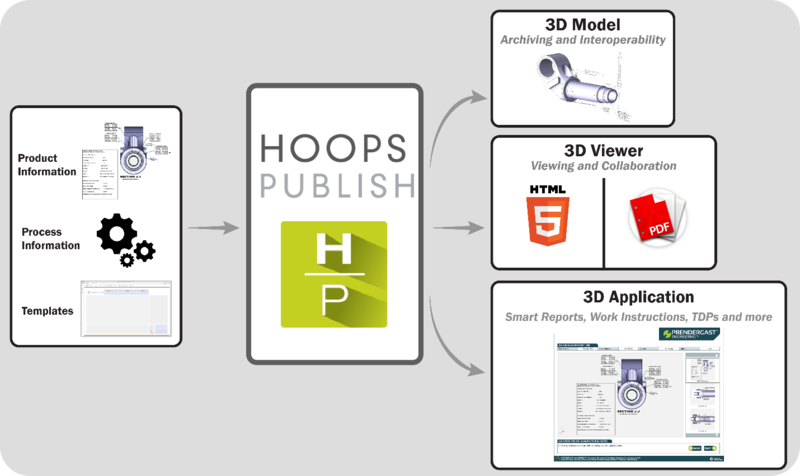 HOOPS Publish provides a publishing API built on top of the native PDF libraries from Adobe with no extra licensing. Software development teams can easily add simple or complex document output capabilities into existing applications. Developers can read 3D data from formats including PDF, IGES, STEP, SAT, XT, IFC, PRC, U3D and VRML. They can publish the data to a 3D PDF file in either U3D format or Adobe’s preferred PRC format. 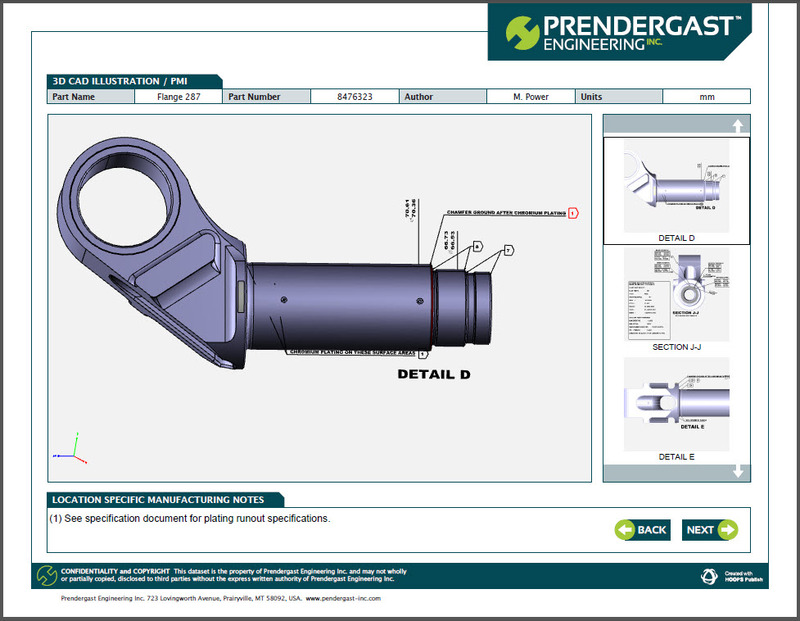 Developers can also publish in standardized CAD formats including STEP AP 242, JT 9.5, IGES, 3MF, STL as well as HTML to create a 3D web viewer. 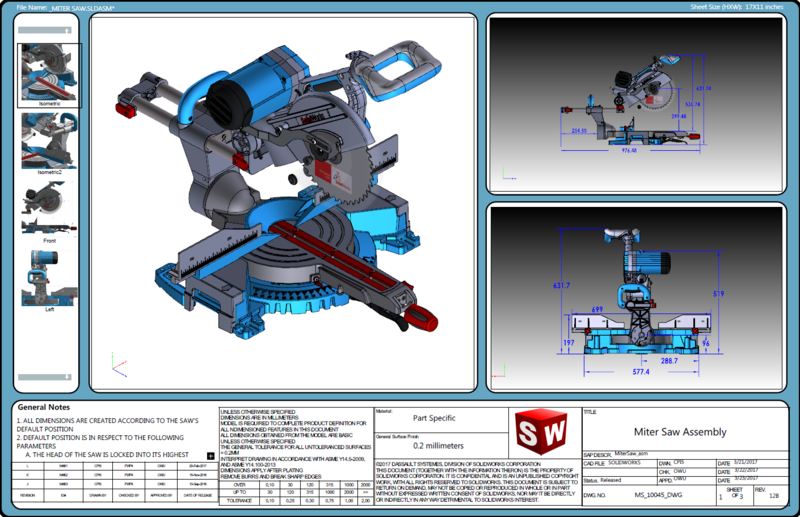 The advantage of PRC is that it provides a highly accurate and highly compressed format for describing 3D CAD models including Assembly Structure, B-Rep, Geometry and product manufacturing information (PMI). 3D PDF has been accepted for ISO (International Standardization Organization) publication and is rapidly gaining momentum, particularly in the defense and aerospace industries. Need more read formats? 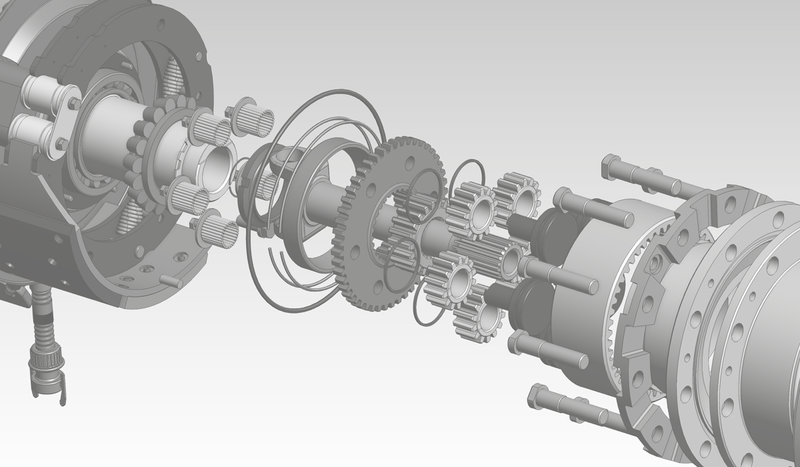 Add HOOPS Exchange to import over 20 CAD file formats including CATIA, Creo, NX, SOLIDWORKS, Solid Edge and Inventor.